Collect the seven crystals of power to appease Poseidon and save Atlantis. 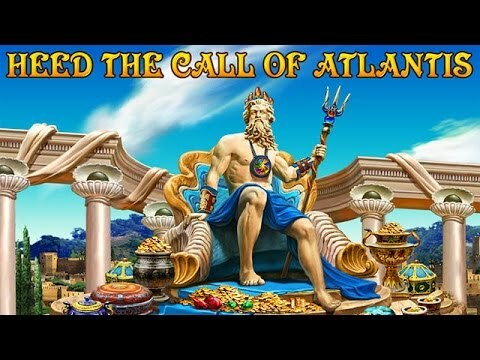 "Call of Atlantis is a nice blend of Match 3 and Hidden Object. Each phase has a goal. In Match 3, you will gain objects, bombs, lightening and more that will help you destroy tiles. In Hidden Object, you will find parts of pieces to form weapons. A great colorful game with increasing challenges at each level. Perfect to have fun and relax." Atlantis is calling out to a true hero to save it from deadly peril in this third installment in the Atlantis Quest, The Rise of Atlantis series. Set out on an exciting quest in this spectacular mix of Match 3, Hidden Object and Adventure. Embark on a fascinating journey through ancient lands to acquire the seven mysterious crystals of power. Appease Poseidon, the patron god of the Atlanteans, and save the legendary continent.